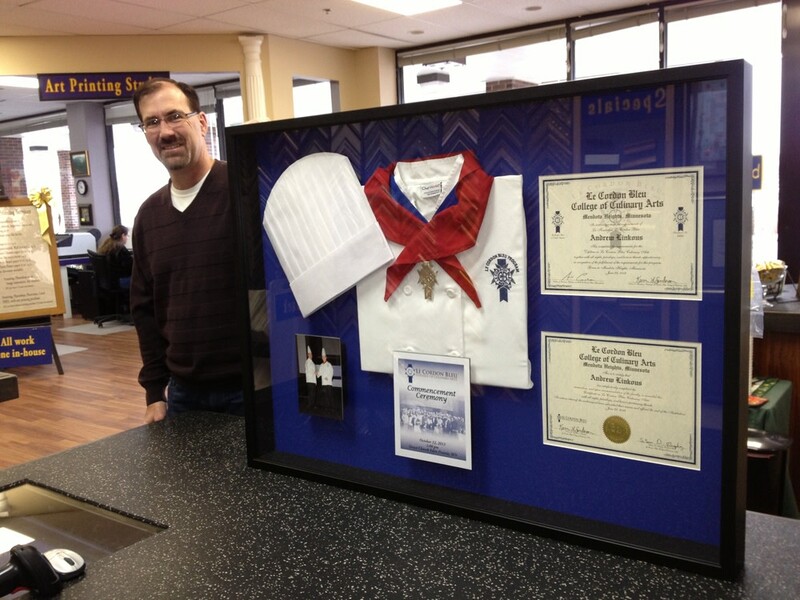 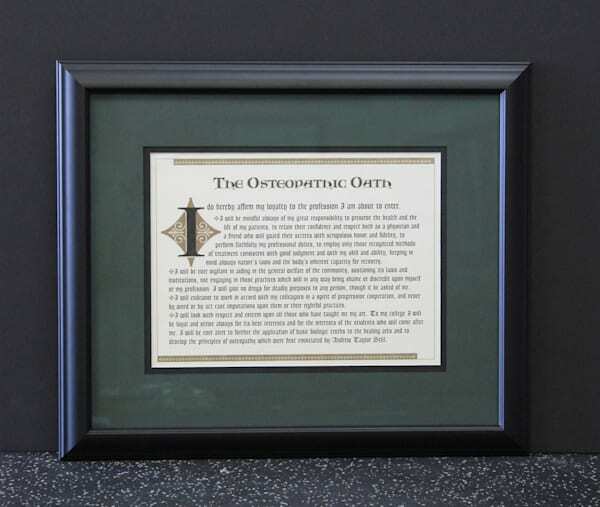 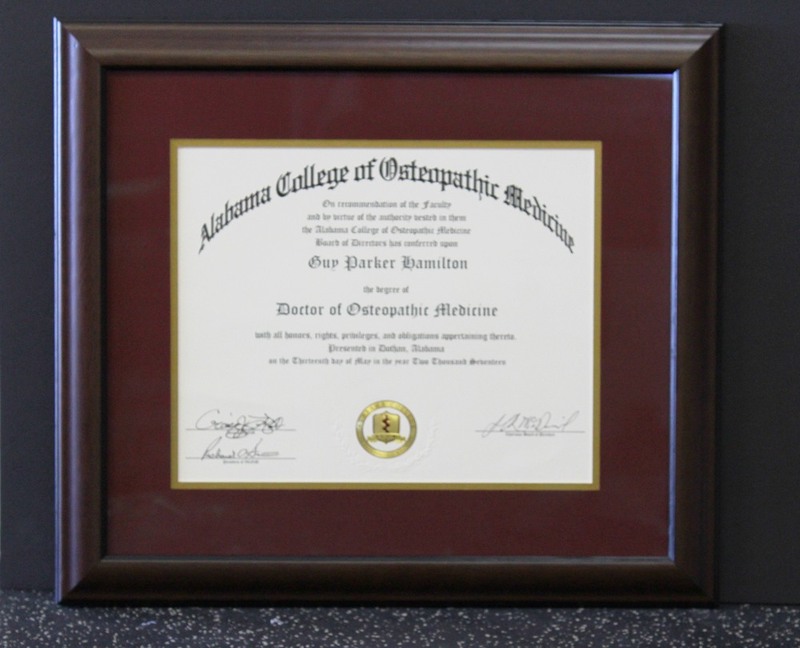 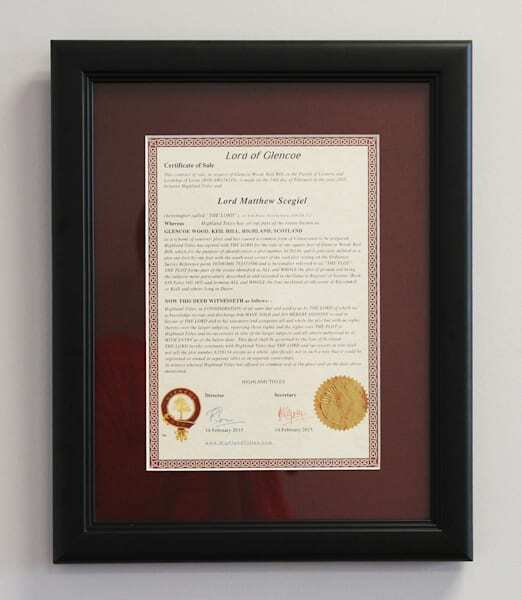 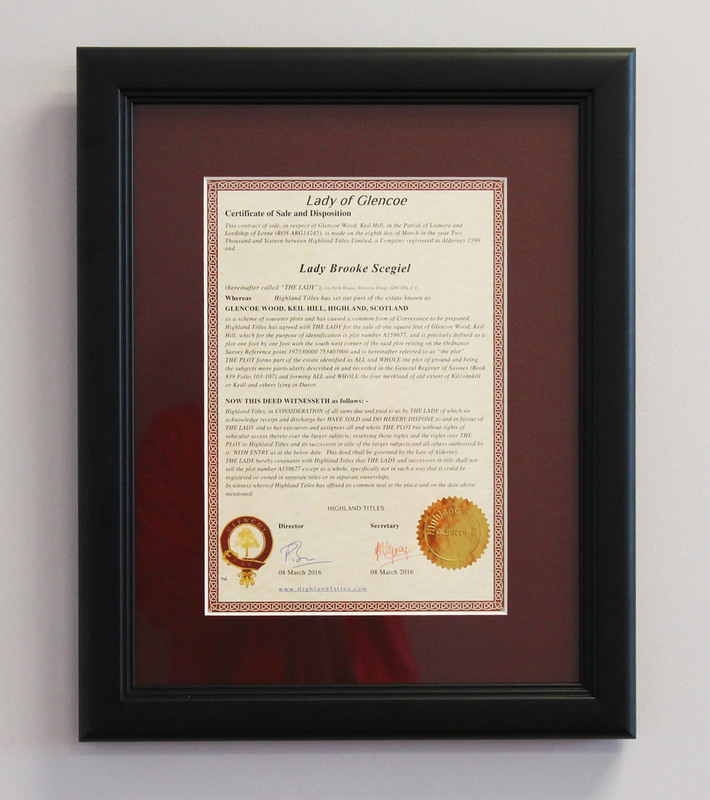 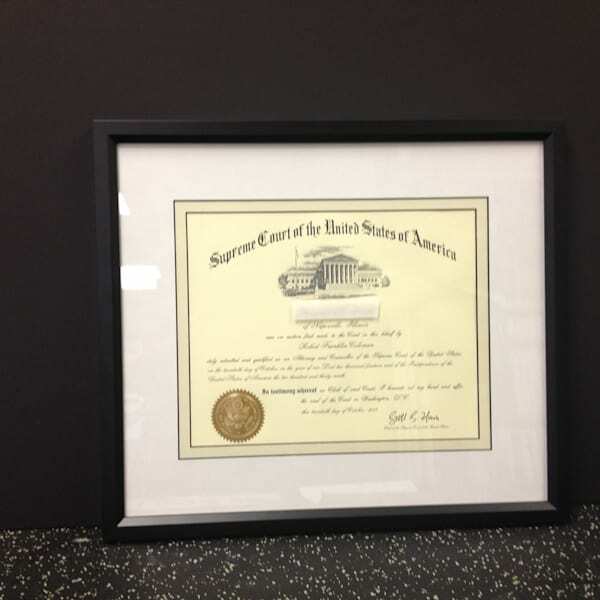 Create a lasting tribute to your achievements by having your diploma custom framed! 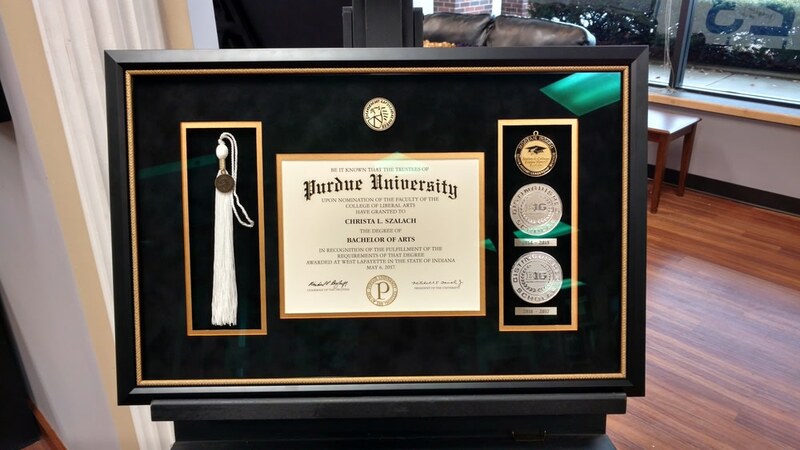 Include your tassel, photo, or any other keepsake with your diploma for a unique piece to display your achievement. 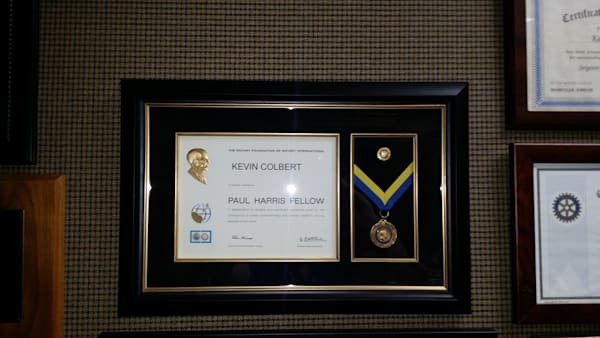 Bring us your diploma or certificate and our designers will work with you to select framing and matting. 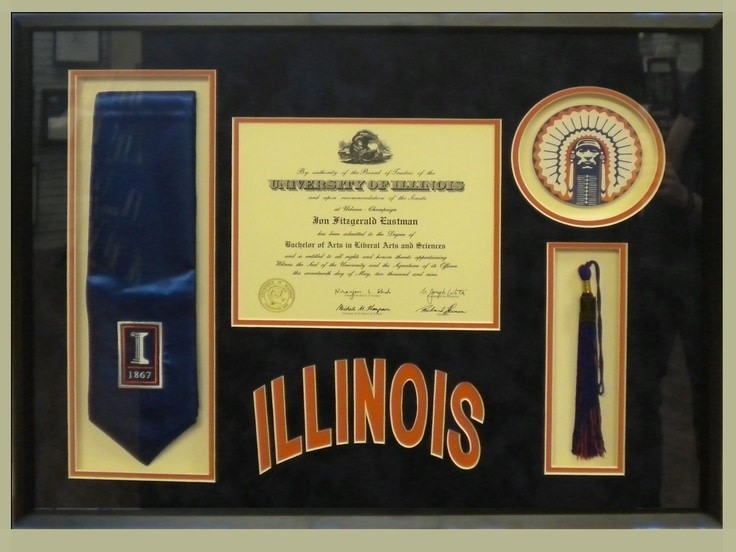 We have mat selections to match your high school or university's colors and/or personal taste. 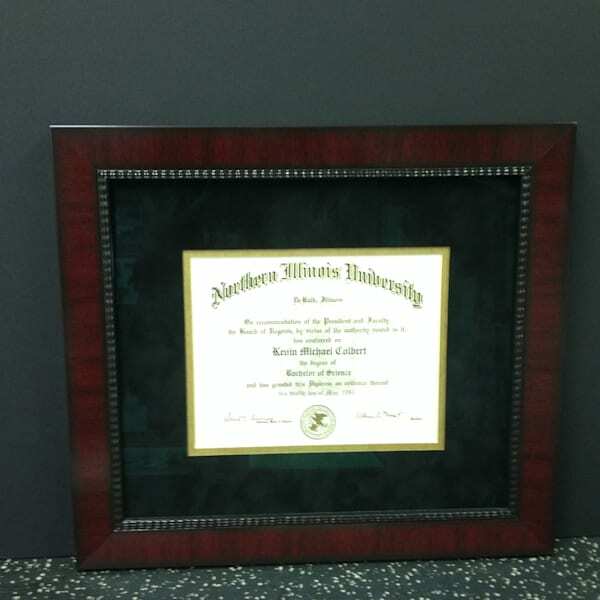 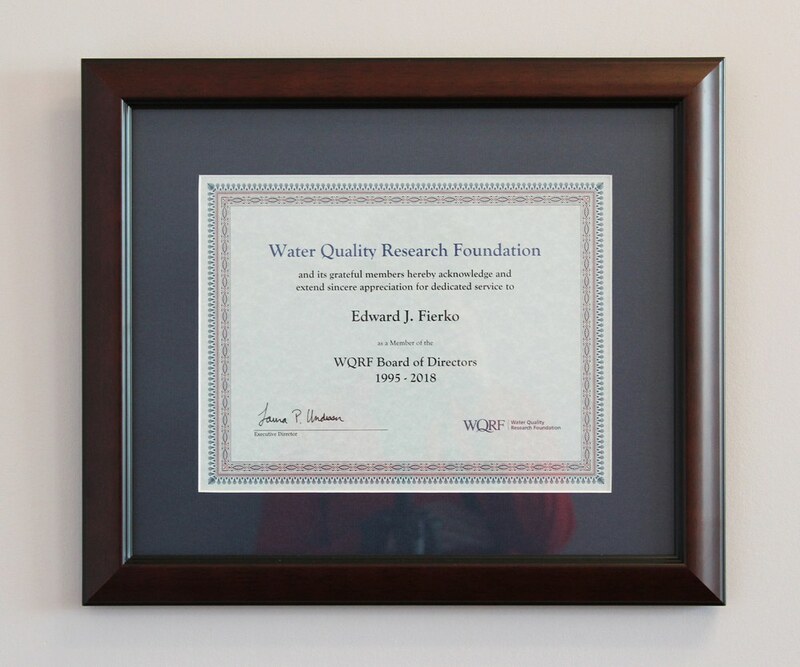 Our archival matting and museum-quality glass will protect your diploma or certificate from fading over time. 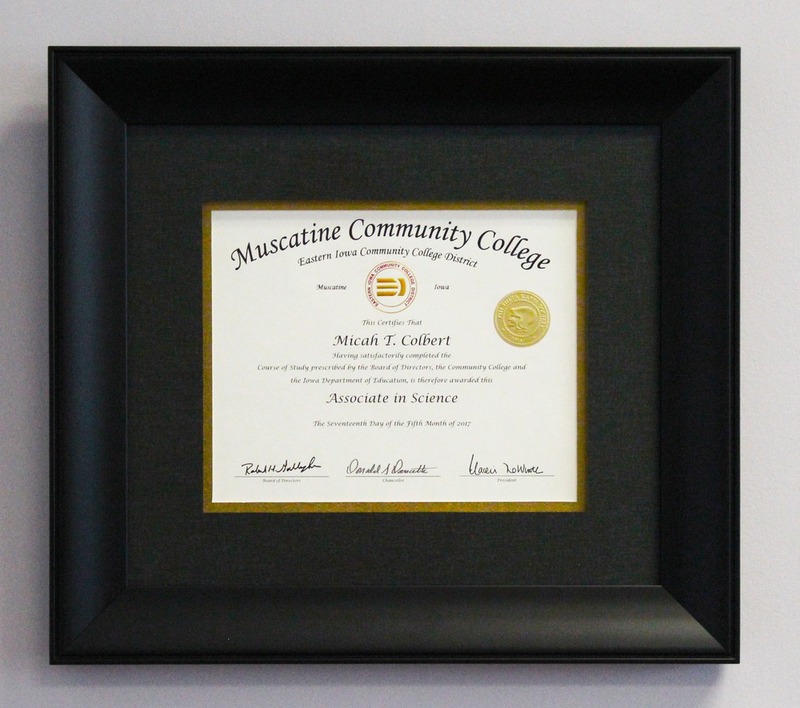 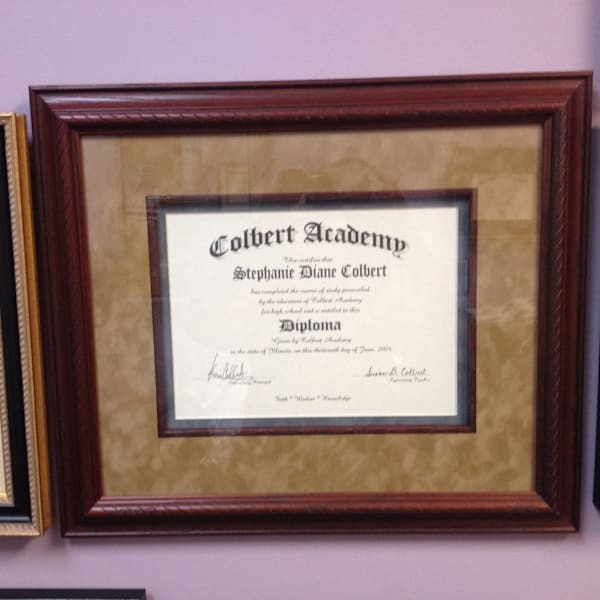 All frames are constructed in-store by our skilled staff so your diploma stays in our care. 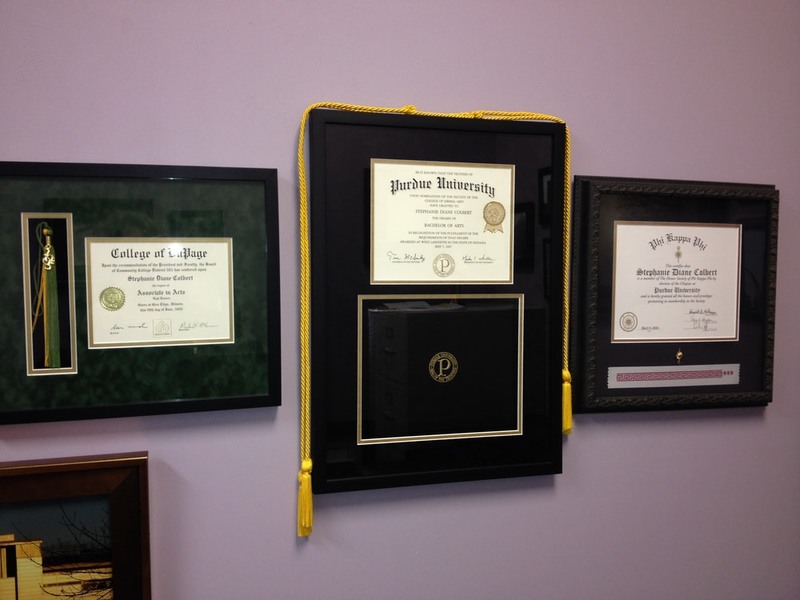 See examples of our custom diploma printing below!